We removed this homeowner's roof (due to a hail storm). We worked with the insurance company to help get this homeowner's roof replaced. This Oak Forest homeowner decided to upgrade their shingles to the CertainTeed Presidentail Shingles. WOW! What a difference. This client had a home with dated, inefficient siding, and contacted Stan's Roofing & Siding for an estimate. We provided a custom plan for this home and installed beautiful James Hardie siding and Marvin Windows. The resident loved the finished look! Purchased home a little over a year. We have no idea how old the roof is. Upon initial inspection a few shingles need to be replaced which we were told was done but I rather be safe than sorry and have the roof professionally looked at.. Requesting an estimate for different siding options for my home as well as a small repair to my existing gutter (fairly new install). Additionally, if a fair price is proposed, I am open to replacing a glass door and windows. I would prefer Fridays or Saturdays for an estimate. I would let to get an estimate for vinyl siding replacement for my home. Hello, looking for a quote on asphalt shingles replacement and gutter/downspout replacement. Available on weekends or if you are able to go without me being home during business hours, that is fine as well. Easier to contact by email during day, phone by evening/weekend. Thank you. We have leaking gutters and would like to know what the cost is to replace them. Also looking for a quote to wrap the soffits and fascias. We are getting quotes now and ready to hire. Good afternoon, I'm currently in the process of buying a house and had an inspection of the property this past Saturday. The inspector found a hole in the roof and recommended that we have a professional come take a look at it and get an estimate to submit to the seller. I just need an estimate as soon as possible. Thanks so much! I have a gutter/fascia that suffered storm damage that needs to be repaired. I have a small leak around the perimeter of one of my windows. I believe the flashing needs to be repaired. 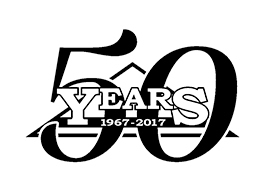 "The professional way photos were taken and included in the..."
Stan's Roofing & Siding has served the residents of Oak Forest since 1967 with a wide range of roofing and siding services. Our employees are professionally trained and capable of installing or repairing your roof or siding quickly and efficiently. Roof is leaking and leaking inside the house. We would like an estimate for a new roof. Stucco-panel siding w/ cedar battens deteriorating. Need to repair/replace. I am in the process of closing on a new house in Oak Forest. After receiving the report from our home inspector we were advised we would be needing a new roof in the next couple of years. We are looking at an estimate of what putting a new roof on home would be.